New York Times best-selling investigative journalist Ron Suskind based this book on his Pulitzer Prize winning articles about Cedric Jennings, a black youth struggling to survive one of D.C.'s toughest school districts. A moving portrait of inner city life, A Hope in the Unseen offers a view of life through the eyes of someone trying desperately to make his way up from the bottom. Imagine being trapped inside a Disney movie and having to learn about life mostly from animated characters dancing across a screen of color. "A fantasy? A nightmare?" This is the real-life story of Owen Suskind, the son of the Pulitzer Prize-winning journalist Ron Suskind and his wife, Cornelia. An autistic boy who couldn't speak for years, Owen memorized dozens of Disney movies, turned them into a language to express love and loss, kinship, brotherhood. The family was forced to become animated characters, communicating with him in Disney dialogue and song; until they all emerge, together, revealing how, in darkness, we all literally need stories to survive. 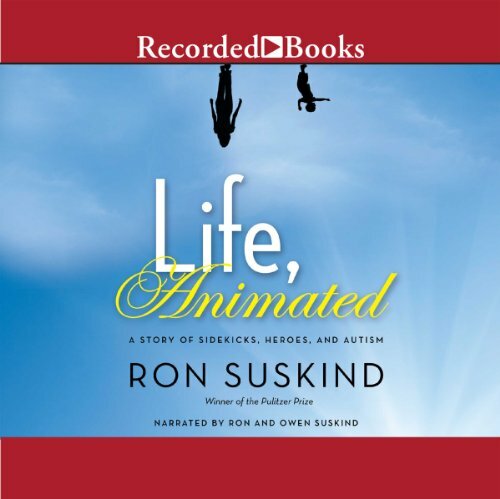 Would you consider the audio edition of Life, Animated to be better than the print version? 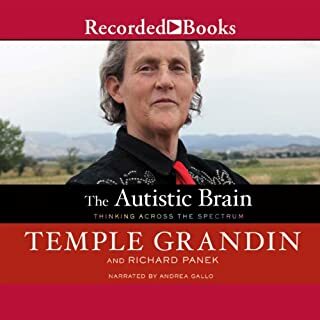 You should be so lucky to get stuck on a long trip with Ron Susskind doing the talking.This isn't a Pulitzer prize winning writer simply reading his book ... it's a father sharing his family's story revolving around his autistic son Owen. At the center of the story is Owen, an autistic boy, trapped in his own mind with the only door the Wonderful World of Disney animation. Which character – as performed by Ron Suskind – was your favorite? Susskind breathes life into his son Owen and takes us on a journey revealing the hidden world of autism. This book will make you laugh ... and cry ... but hearing Owen tell his own story at the conclusion is profound. I cannot use language strong enough to describe how amazing the insights are within this book. 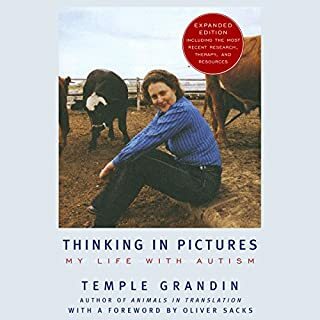 I was encouraged through tears and forced to look truthfully within myself and my family and face the realities of living with and raising an autistic child. 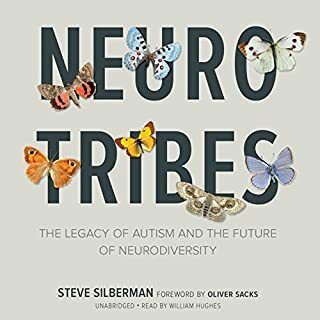 If your in my situation or are any way aquatinted with an autistic person, you owe it to them and yourself to read this. I first heard of this book when Ron Suskind spoke at a librarians' conference. Sounded so ... weird. An autistic child, Owen Suskind, learns about feelings and emotions and communication by watching Disney movies? But heck, if it works, use it, embrace it. This is a fascinating glimpse into the frustrating world of a family with an autistic child. And so intriguing to learn that Disney movies are a favorite with some in the autistic community. Do these individuals use those movies as a vehicle for understanding their world the same way that Owen does? The author is also the narrator and does an admirable job of speaking in Disney character (I guess he had years of practice). I love that about his narration, that the voices and singing are the same that he used with his son. The heartbreak, frustration, and successes of the years of trying to help Owen find his way are touchingly described in such a way that I can't imagine anyone else voicing this story. And to think it was facilitated by Disney movies. Two thumbs up for this book. Very thought provoking. What if you were trapped in a Disney movie? The family's dedication to helping Owen and the lengths they go to is both impressive and daunting. Fortunately they had the resources to do this; I couldn't help thinking as I read, how many other families simply wouldn't have a chance to give their son all the many vast advantages that Owen received. 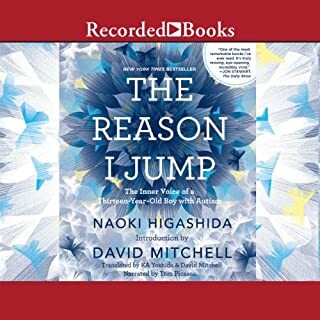 I picked up this audiobook after hearing an interview with the author on NPR. 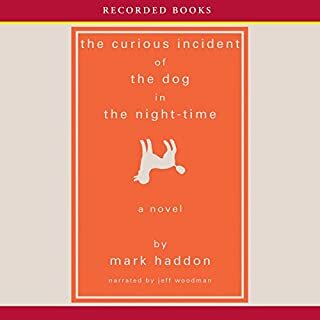 It's written by the father of an autistic spectrum son (Owen), recounting the family's discovery that the boy was locked into a state where all he seemed to be able to understand was Disney movies, and how the family learned to use Disney movie dialog to communicate with him and help him learn to understand the outside world also. While I'm not a particular fan of Disney, it was a fascinating perspective on them that I'd never seen before. Apparently the original hand drawn classics were animated to have such realistic emotional expressions that the animators kept a mirror at their desk in order to check their drawings against their own facial expressions. Possibly because of these very clear, exaggerated emotions, apparently many kids with autism like symptoms are drawn to the movies, and at least in Owen's case, use them to help learn about and understand "normal" human emotions that are otherwise very difficult for the autistic to interpret. I wasn't entirely sold on the style of storytelling, and I can't help thinking that the picture of family life portrayed in the book is SO wholesome and Brady-Bunch-idyllic that it makes me wonder exactly how much was swept under the carpet by the father author/narrator. But it was still an interesting and thought provoking read. 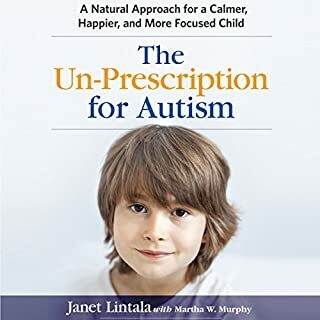 I have not experienced first-hand autism in my family and it is only through books such as this that I see how much responsibility it puts on all members of the family. I suspect that the books I read only show the experience via families that have *resources* and the ability and will power to use them. None of what I have read so far are of single-parent and poor families and I wonder what happens to the autistic children born to such circumstances. Because it is evident there is tremendous work and effort to help autistic children grow to be the best they can be to interact in society. There is tremendous love and effort shown in this family's story and it shows how much can be accompished - where there is a will and where there is a way. It's a beautiful story and made me think. Thank you! As the author explains, this book is not about Disney, per se. It's about a family's love and how stories (many provided by Disney) can give us a way in, and many ways through, life's challenges. It is quite rare that a book brings me to literal tears, and this was one of them. Heartfelt, wonderfully written, and engaging, "Life, Animated" is a must-read. Amazing. Best experienced on audible. This book was beautifully written and very insightful. It is a must listen on audible. The actual author doing the voices paints puts you right in those same moments with his son. Definitely! The author narrates his book, and he reads it as a performer, but more importantly as a father. Owen's reading at the end was terrific too! I loved how it treated Owen's family as complex people, making mistakes and learning from them. It was moving and complex, and I loved every minute of it! What does Ron Suskind bring to the story that you wouldn’t experience if you just read the book? he reads it as a father, a man who loves his wife and his sons, with humour and sadness and hope. Both in places! I cried when Owen lost his voice, and jumped for joy when The Little Mermaid gave it back. I feared for Owen when Ron and Cornelia realized they needed to better prepare him for the messiness of life, but also not overstimulate him. Read this book! It is the story of autism, yes, but more importantly, it is the story of a family. Would you listen to Life, Animated again? Why? I loved to listen to how this loving and creative family change their lenses to see the world thru their son's eyes - Owen offers lessons for us all. What about Ron Suskind’s performance did you like? He was a great narrator - he is a story teller and he is telling a story that is near & dear to his heart. Highly recommend this for everyone.